Are you looking for a fresh collection of iPhone and iPad landing pages for use with your web hosting and design services? Here are 20 websites with a wide collection of templates. These templates are engaging, easy-to-use, and appealing. Mobile app and landing page builders will find the collection at Designmaz very useful. They have several responsive website templates available for download. Aside from iPhone and iPad landing pages, they also have templates for regular websites. Whether you want mobile app landing pages or WordPress themes, the collection from Colorlib can help you. The landing page they have are perfect for mobile app developers who want an effective selling point for their offerings. Download one of the many iPhone and iPad app landing pages offered by this website for web designers and hobbyists. Their collection includes native iOS applications for Basecamp. They have landing pages for different niches like food, fitness, games, and more. If you're looking for inspirational web design that will work best with your social media accounts, then this is where you'll find them. They have more than 20 beautiful landing pages that will work perfectly on iPad and iPhones. Aside from mobile site templates, they also have WordPress themes, vector icons, and more. Web design tutorials that include useful tips and tricks are available as well. Designers who are building apps for iOS will find the landing page templates available at this site perfect for their needs. They also offer other mobile site options. They have landing pages perfect for music video sharing and creation, video editing, and many more. Webdesignledger provides a comprehensive list of the best-designed landing pages that users may take inspiration from. The best scrolling and non-scrolling landing pages are available therein, some of which may be perfect for your needs. Browse through the site and see how the experts do them. If you want to know what landing page design will work for your app, this site offers a list that you can derive inspiration from. Innovative sites that are specially made for mobile are listed on the site. Good examples of interactive sites are available there as well. Check out the beautiful designs offered here to launch your new mobile site with style. The site offers demo links to the site so you can have a feel of the landing page before installing it. There are downloadable mobile apps suited for your other needs available there too. If you want to build a mobile landing page that will capture the attention of your viewers, you'll find the one that you need from this site. There are landing pages specific to your niche, so there's no need for specific editing. Browse through the site to find the one that matches your specific requirements. The templates available from this site are duly classified to provide you a good idea of what it can do. There are templates for mobiles and websites available. Choose landing pages with all the functionality you need. If what you want is a one-page mobile site, this is where you should go. There are almost 500 mobile landing pages available here, so it's a guarantee that you'll find the one that suited for your needs. All 498 sites are specially designed for mobiles. The choices you'll find here will be loved by your viewers, too. The latest iPhone and iPad landing sites are all here. The collection of intelligent, beautiful, and interactive sites found on this site are the ideal pages for your every need. Every single one is built for mobile sites. There are downloadable apps available as well. Whatever business you have, a landing page from this site will be suitable for you. Some are fully responsive, others are a one-page template, and there are those that are HTML and CSS3 ready. The creative template collection of the site will launch your site perfectly. 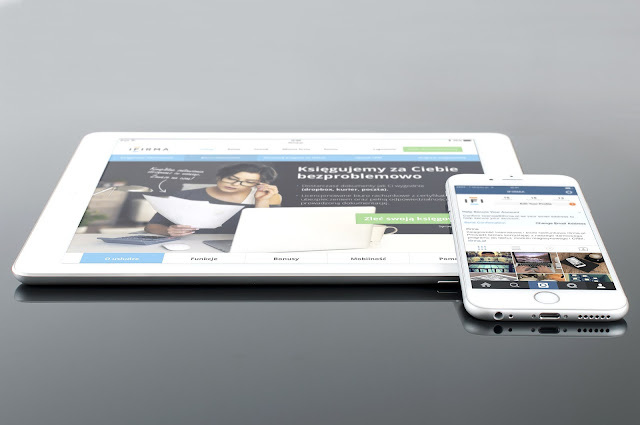 Promote your iPhone or iPad software product through this retina-ready responsive app. This single-page landing page is responsive and search engine optimized. It runs on the CSS framework and uses icon fonts. Download Fifty-three's Paper & Pencil and share whatever you want through your iPad and iPhone-ready landing page. This app is makes creating mobile sites and adding content easy as pie. Add notes, photos, and sketches easily through the Paper app. Make your own designs with the Pencil app. Get a modern, sharp-looking, and clean iPad and iPhone landing page through this template. The set includes PSD files and icons that are optimized for the iPhone 5 and iPad mini, even MacBook Air. The icons from Entypo, IconSweets2, and The Noun Project are usable on the site, too. Create a fantastic landing page for your iPad and iPhone sites through Lander. The app makes it easy to build, publish, and convert mobile site landing pages that perfectly matches your needs. Lander comes with numerous templates to choose from, all of which are known to work for numerous CEOs. Know more about the best landing page creators for iPhone and iPad mobile sites. Twenty of the most user-friendly sites are listed on the site to make it easier for you to choose which one is right for you. There is a blogging platform available too. Whatever you need a landing page template for, ThemeFisher has the one that is just right for you. Click on the demo links available on the site, and download the one that you want. Your choices on the site are limitless. Over 100 themes are available. If you want not just a landing page but a fully functional mobile app theme, this is the place to check out. The site lists 20 of the best WordPress mobile app themes that are ready for download. Demo links are available too. All the above suggestions will work best on most web hosting accounts available today.